As a college student, I was a bit of a rabble rouser. Protests were the norm and questioning the system in place was a regular occurrence. Nothing the school ever did seemed good enough. So I fought the policies and decisions at every chance possible. Administrators were annoyed and some of my fellow students thought I was going too hard. Expressions like, “Jeff is just mad again” and “What are we going to do with him” became familiar phrases. A mentor of mine once said, only a few will see your vision for the future. That felt like the truth back then. In some eyes I was regarded as a great leader and to others, a bad guy. Fast forward to a few years later and I became a college administrator. At every institution I’ve worked, there was a student who was a disruptive leader. There was always someone who held the interest of the people above the interests of the institutions. From an administrative side, I began to see what others once saw in me, when looking at these students. I saw how some world leaders and non supporters would look at Fidel Castro. You’ll be defined as an irritant or as a great change agent. So, if Fidel was my student I would let him know that there will many people trying to sway you away from your goals. Moments of you galvanizing your fellow students will drive you to a place of success and greatness. You’ll have mentees without even knowing it. You’ll have new followers who will start attending meetings to catch of glimpse of what’s going on. In the meantime, the detractors will be there. Haters will be in the room. Your good moves will be questioned. Every wrong choice you make, and trust me there are going to be wrong choices, will be scrutinized. People will forget what it was like before you and assume you were the only person to make a poor choice. The pressure will be on, so if you truly believe in the mission laid out, stay ready. Nobody is perfect and I would have to have a conversation with Fidel about some of his humanitarian issues or women’s rights. Transformative leadership is complicated. It’s way more complicated than a relationship status on a Facebook post. People aren’t going to love all of your decisions but do understand that so many others will see how much you sacrificed to take a chance at leaving a legacy. As much as I would critique some of his decisions, I would also praise him for the tremendous support his regime gave to so many African nations and black movements. I’ve seen amazing presidents of culturally based organization shun certain communities but uplift their constituents like no other. There have been many cases in which a fraternity or sorority leader might have ignored others feelings but pushed their brothers and sisters to the highest point possible. 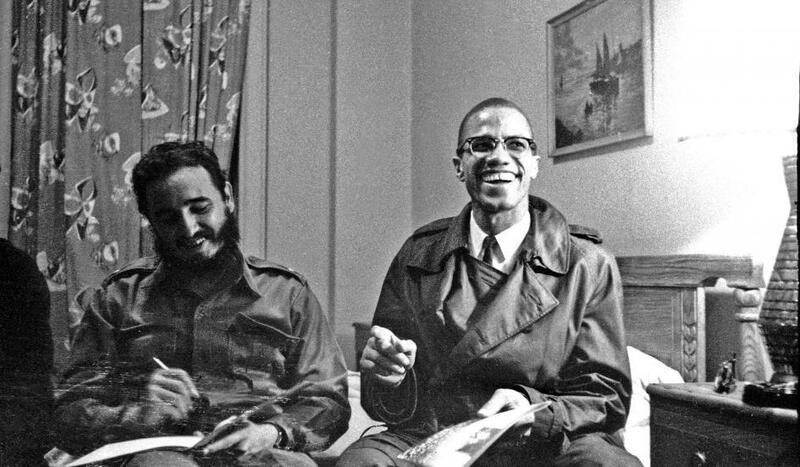 So, if Fidel was my student I would tell him to be as cognizant of all parties as possible. While doing so though, always remember your people and mission. Sometimes in favor of our goals, we miss out on supporting others who could use some additional leadership. If Fidel Castro were a student of mine, I would have asked him about his plans for the club or organization once he graduated. So many veteran student leaders are tremendous while in office but then the club dies once they move on. What will happen to Cuba, next? Some students lead with so much authority that nobody can follow their presence. I can’t express how important it is to prepare for the future. You won’t be around forever, so if you want your legacy to last, make sure to mentor younger students who can run the show after you’re out of there. When I think of Fidel Castro’s death, I hear the voices of both sides of the story. With that said, being the enemy of the state, doesn’t make you an enemy to everybody. I see celebratory reactions as well as tears of sadness. I have seen student leaders who graduate as heroes and others who walk out to joy of administrators. The work will ultimately speak for itself. Whether you love him or not, Fidel Castro was a giant part of the 20th century. He outlasted 10 US presidents and countless assassination attempts. At the end of it all, his legacy will be defined by the lens from which you are looking. We’ve all had a tough year, especially over the last few months. As we turn our attention to the end of semester rush and the holidays, it’s important to take a step back and enjoy the humorous side of our profession. And with that, I’d like to present to you…A Student Affairs Thanksgiving, according to animals, gif edition. Hold up…there is free food left over from a student event? Luke Cage came out during a time when racial tension is high in America. Everywhere you turn video after video, African Americans are being shot or harmed by police. The latest at the time was in September, with the release of the Terrance Crutcher video which left many upset and fed up. Then, Netflix sent me a show suggestion, “Luke Cage.” My first reaction was skepticism having no prior knowledge of this Marvel character. My skepticism soon turned into an absolute binge. I devoured episode after episode. Marvel finally painted an image to enjoy, a black man in a hoodie as a super hero. The media has provided such a negative perception of black men in hoodies, but Luke Cage showed us why a bullet-ridden super hero is so important. 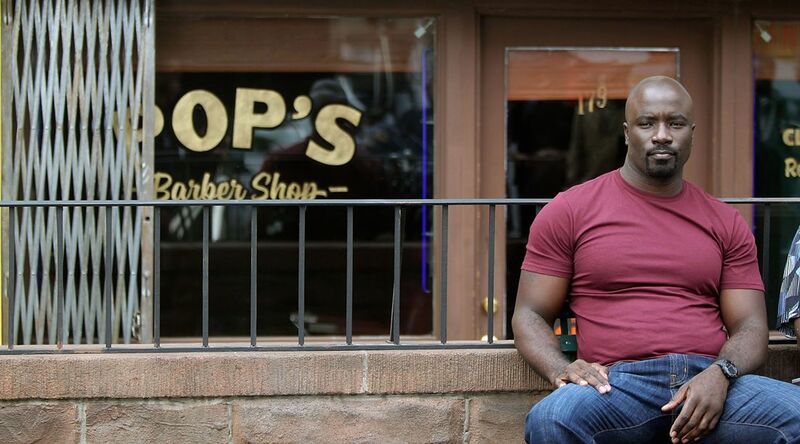 Don’t forget home – Luke Cage is back in his hometown, Harlem literally saving the world. Luke has fought against corruption amongst criminals and politicians to save the city he grew up in as a child. My mother once told me, when you earn your degree, don’t ever forget where you came from. At first, it seemed so cliché, but she couldn’t have been more right. After graduation, I began in a corporate position and hated it. Not only was it not my passion, but the gifts that I nurtured in college were being suppressed. After three years, I decided to take a job in higher education which changed my life forever. Five years later my gifts have helped me work with over 100 schools and colleges creating and preparing more leaders for this world. As students, I urge you to please eliminate the “I can’t wait to leave my neighborhood or the hood” mindset. Let’s take our new leadership qualities, academic knowledge and gifts to make changes in our communities. It is time to help others in the town attend college, feed or provide for the less fortunate and more. You can even take it to the next step for the Student Government leaders let’s take a look in local politics. Gain a super power – Luke Cage is a hero for hire with great strength. If you want to find some of the toughest individuals in the world, go to a college campus. The best thing about college is students begin to acknowledge themselves as individuals. As student leaders it is time to tap into your strengths and weaknesses. Once an individual is secure and understands their strength they are unstoppable. Just like Luke Cage you can become a value to your community and beyond. Opportunity will literally fall into your lap. More Action Less Talk – In the show, Luke is a man of few words. Coffee? Lol just kidding, but Luke gets straight to the point with women and men. Fighting scenes fared way better than a conversation with Luke. As a graduate, it’s time to put that degree to work and stop wasting time. My Trill or Not Trill partner said it best, “Find your gift. Define it. Be great at that gift. Use it and share it. Success will follow. Your community needs you.” No one needs someone boasting about their degree but is not currently using it to their advantage. We need less talk and more action when it comes to community work. If you feel powerful, it is time to not only show with actions, but motivate others to meet you where you currently stand. There is nothing worse than going home with a degree that is not being put to use. Family Good or Bad – Around episode 6 a new villain arises by the name of Stryker aka Diamondback. Stryker happens to be the evil half-brother of Luke Cage willing to do anything to destroy and kill him. Believe it or not family can be your worse enemy. You are now a graduate, people will ask for money and even claim what you used to be! It’s time to do the following formula, “multiply your value, divide your circle, add accomplishments and subtract the fake!” It is so important to leave college while securing your gifts, goals and personality if not people will sabotage your ability. Watch for those family members with hidden agendas they are waiting to prey on your success. Don’t let blood disguise the hate! Today, we have numerous Super heroes all over Netflix and movie screens but it is now time to bring them to life in our institutions. Let’s all become change agents! So, Donald Trump is the President-Elect. Some people are excited and others are distraught. Below are a few programs that can help us move forward in addressing some of the concerns people have been having. There are a mulitude of ways to either protest the results or celebrate them. Here are some programs that are aimed to open up the dialogue and help us all do the work to start moving in positive directions. 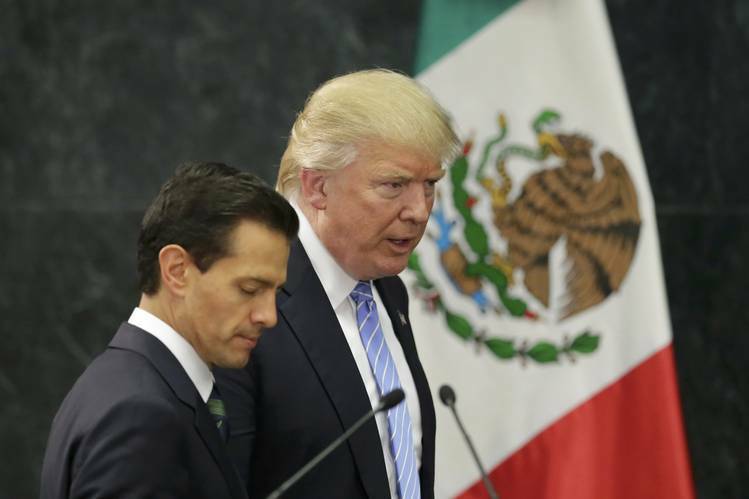 Donald Trump talked about building walls between Mexico and America very early on in his campaign. This activity will seek ways on how to build bridges between various communities instead of building walls between them. Part 1: On pieces of paper cut in the shape of bricks (or post its), students are to write reasons as to why walls are up between particular communities. Students then tape the brick pieces on the wall forming a wall. 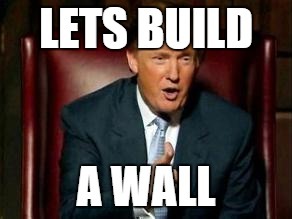 -Why do you think Donald Trump wants to build a wall? -Are they are advantages to addressing immigration by discussing a wall being built? -How do we as a society build a bridge between supporters of Trump and supporters of Clinton? -What’s the importance building bridges between two communities? Part one: Students discuss sexist phrases and terms they have heard that are sexist towards women and men. I’ve heard someone say “I just don’t a woman could run the country” “in the cafeteria” this offends women because it states that a woman is incapable simply because of her gender. The phrase should be positive, non sexist and affirming language about women. -Why is it important to discus gender equality? -Is this type of sexist language more common than not? -How does this type of language effect day to day behavior? This activity will directly speak to the presence of immigrants in the country. Split the room up into at least 2 teams. Using a board or giant piece of paper, students are to race to write one positive things that immigrants have contributed to the students’ personal lives, the university or country. Students have 15-30 seconds (facilitator’s choice) to write their answers. They can use their phones or google to find answers as well. If a player can’t come up with an answer within the 15-30 seconds then they are eliminated. Create a time limit or play until a team runs out of players. -How did these negative stereotypes about Mexicans come about? -How can we as a country continue to build relationships and not negativity? -What are your thoughts on illegal immigrants and their positions in America? Part 1: Students will place reasons for their angst inside of a bag or or container. “I’m mad that racism is normalized.” “I’m mad that Hillary supporters can’t see our side of the story.” Facilitator will collect the reasons and shake up the up container to mix up the submitted reasons. Part 2: Individually each participant goes to the front the room and randomly selects one of the submitted reasons. Student is to then yell aloud the reason they pulled from the container. Part 3: Facilitator asks “Tell em why they mad.” Then the audience discusses why people are mad or could be mad at the particular issue. -Why are people so emotionally charged in response to this election? -How can we turn anger into positive progress?